A major topic of interest in human prehistory is how the large-scale genetic structure of modern populations outside of Africa was established. Demographic models have been developed that capture the relationships among small numbers of populations or within particular geographical regions, but constructing a phylogenetic tree with gene flow events for a wide diversity of non-Africans remains a difficult problem. Here, we report a model that provides a good statistical fit to allele-frequency correlation patterns among East Asians, Australasians, Native Americans, and ancient western and northern Eurasians, together with archaic human groups. The model features a primary eastern/western bifurcation dating to at least 45,000 years ago, with Australasians nested inside the eastern clade, and a parsimonious set of admixture events. While our results still represent a simplified picture, they provide a useful summary of deep Eurasian population history that can serve as a null model for future studies and a baseline for further discoveries. In our model, K14 fits well as unadmixed (aside from archaic introgression), but MA1 receives, in addition to its archaic admixture, a component of eastern Eurasian ancestry. The latter gene flow explains the preliminary residual f4 (MA1, K14; Ami, Ust’-Ishim), which is of a similar form to several other relatively poorly fitting statistics from our initial graph, for example f 4 (MA1, K14; Ami, New Guinea) = 2.00 (fitted 0.08; Z = 2.68) and f 4 (MA1, Ust’-Ishim; Ami, New Guinea) = 1.73 (fitted 0.08; Z = 2.49). We added this admixture into our model with its best-fitting source position (near the root of the East Asian lineage) and mixture proportion (17.4% East Asian-related ancestry, 95% CI 7.7–27.4%). We note that a recent study (Lazaridis et al., 2016) found a cline of MA1-relatedness among a large number of present-day eastern Eurasian populations and argued for admixture from west to east instead; while the present analysis supports the other direction, an important subject for future work will be to reconcile these results. We discussed some of these issues in the idiot's guide to Eurasians thread. Hehe. I'll get busy with more of this starting tomorrow. I've got a large lit review due this evening. I have a feeling we can answer some of their questions. So are they suggesting that ANE is proto-west Eurasian + East Asian ? Yeah, kind of the same stats I ran before. I believe I used Vestonice instead of Kostenki though. It's probably all in that link David posted. Basal East Asian, close to Ami, not the Andanese or Australasian branches. That's what I get from it. Makes sense as that branch is also no closer to MA1, but very significantly closer to Native Americans. What's the corollary for eHG ? No idea. I just had a more careful look at their model. Yeah, it's basal East Asian, not basal East Eurasian. But it only affects MA1, and not the Ancient North Eurasians that MA1 descends from? I'll start communicating with you about this either in a few hours, or tomorrow around the same time. There's a lot to digest and contemplate here. "that these signals in fact appear to reﬂect shared drift between a subset of western Eurasian hunter-gatherers (including MA1 and Mesolithic Europeans such as Loschbour) and East Asians." Even modern French have it. "Tinyuan must be in its way"..
Not just Tianyuan I reckon, but a whole bunch of East Asian, Siberian and Central Asian genomes. Having read it, I would say that the way to look at this paper, and their East Asian admixture model in MA-1 (and WHG! ), is that it's *all* about resolving the differences in East Eurasian relatedness for Mesolithic Europeans and MA-1 set against K-14 and other Upper Paleolithic samples. History lesson: The initial explanation for this was Basal Eurasian, but on here on Eurogenes we early realized this don't work before it was published in the science community because Davidski was able to test against Ust Ishim. I and I think at least a few a few sharp eyed others, realised the initial "unadmixed WHG and MA1" model had become unparsimonious, and had mooted an alternate explanation of admixture between an East Eurasian source and a common ancestor of both WHG and MA-1 (in some direction). Now I think they've decided now that this just isn't parsimonious and have gone back to direct admixture between WHG/MA-1 and East Eurasians. Makes sense to me. So, it's not really about addressing or refuting the clines of relatedness to an EHG related source that Lazaridis finds in his 2016 paper, or the relative flatness of relatedness to Onge between EHG and WHG (they don't address any of the stats used there). That seems to stand, as does its consequent admixture model - varying levels of ANE admixture into East Asians; all East Asians with more than the Onge, including Ami. So that finding of the likelihood of EHG related (ANE) admixture into East Asians would seem to hold. That being the case, it seems like as under that model even Ami are basally admixed, that might pose a problem for their tree which is based around the theory of Ami as unadmixed (e.g. push back the admixture in MA-1 to being "basal East Eurasian" and not on the East Asian branch, because ANE admixture into Ami and East Asian might falsely bias and inflate that branch as a source). The paper basically just passes this question on into the future and doesn't answer it. (Other problems might be making it accommodate Loschbour plus Villabruna, at the same time, who differ in East Eurasian relatedness, but seem to be essentially from the same source). @Matt, their finding of West to East-signal being slighty weaker than the opposite could indeed mean there's less ANE in East Asians than there is East Asian in MA-1. The ANE numbers for Ami using various proxies were lower than the admixture percentages MA-1 gets in the new study. My uneducated question is:Does this point to one migration starting around the Caucasus through South Central Asia to +-Afghanistan then up the the Western Altai Mountains and from there a trifurcation moving East, West and South ? And another migration migrating along the Southerñ Coast to Southeast Asia ? Did Y-DNA Haplogroup K originate in Central Asia between Pakistan and the Altai and split up there and move into Southern Asia ? Or am I completely of coarse here ? Yes, I don't know how parsimonious it is to make all west Eurasians having East Eurasian admixture based on K14 as a baseline. One problem might be that following the same logic you'd also need a decent amount of gene flow between Africans and West Eurasians (or all Eurasians, not sure), since (IIRC) Loschbour also shows increased shared drift with Yoruba or Mbuti compared to K14. And IIRC, Karelia has also significant stats with Han when comparing it to Loschbour or MA1, so that individual does seem East Asian admixed (over the rest of West Eurasians). If Loschbour and Africans (they used Dinka but Mbuti-Loschbour affinity to the exclusion of Dinka-Loschbour doesn't seem realistic) have tangible affinity compared to Kostenki14 the paper's fit for French shouldn't have worked since French have significant Loschbour-related admixture and would have broken the model. Yes, the stats are not of the exact same magnitude, so maybe one could say that the difference in relatedness to Africans can be explained by the Neanderthal admixture in K14, and the excess of relatedness to Dai is the actual East Asian admixture in Loschbour. I just had an extremely quick/basic glance. I will make sure to read this later, in a detailed way. Regardless, recording preliminary impressions based on skimming, I am somewhat surprised that the French (and by extension, basically all Europeans) model as being around 25% East Asian. I mean, if true, they have more ENA admixture than even MA1. And going by what we know concerning the clines that exist in Europe (with regard to ENA affinity), I'm guessing that northern and eastern Europeans probably have even more than 25-ish% ENA. In a way, this brings us back to where we were, a few years ago (I'm sure we all remember the pre-MA1 talk of "Karitiana-related" admixture. That idea was vaguely similar to what we see in this paper). Also, it is quite surprising that this ENA imprint is operative for both WHG and CHG. It seems to be a rather wide-ranging signal, in terms of spatio-temporal scale. Regardless, from a purely conceptual perspective, the whole notion of "West Eurasia" just got really muddled. At the end of the day, if all contemporary "West Eurasian" populations are complex mixtures between ancient Western Crown Eurasians (of both the western and northern varieties), ENA, "Basal Eurasians", and Sub-Saharan Africans (in the case of North Africa/Southwestern Asia, and perhaps, to a far lesser extent, Southern Europe), "West Eurasia" really just becomes a vague/muddled descriptor for all the populations living between Africa and Eastern Eurasia. The main dynamic that ties these populations together is the whole "clinal principal". In fact, a whole bunch of genetic clines which run across Europe, Central Asia, West Asia, South Asia, and Southwestern Asia/North Africa. 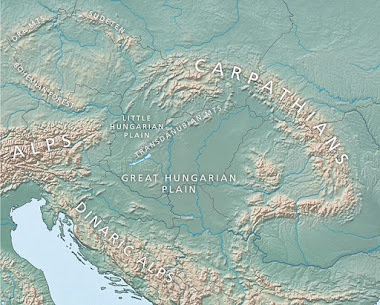 Those clines were defined by geography, but were augmented by various populational expansions across different periods in human history (like during the Neolithic, and during the Bronze Age). That’s really it. In addition, if most ENA populations do have ANE/EHG-related admixture, this just adds to the conceptual "problematization/muddling". Though, I guess this kind of discussion is outside our scope here, too pseudo-Wittgenstein (lol). Anyway, another surprise for me, it seems Ust-Ishim wasn't really a sort of "Basal Crown Eurasian". Rather, it seems that he might have belonged to a clade which is better described as being very "basal" to Western Crown Eurasians (like K14 and MA1). Again, that’s not what I expected. And then there is the Australian/Oceanian-Ust Ishim connection. If my memory serves me right, we also saw this sort of result when David first analyzed that ancient genome. Not sure what to make of it. Finally, the MA1-Denisovan connection is pretty cool, considering the geography. All things considered, one really begins to wonder. How would things look, with some ancient Central Asian and East Asian genomes in the mix? Hopefully, we'll find out soon enough. Exciting times. MA-1 having East Asian admixture should have been obvious to everyone based on his Y-chromosome alone, so hopefully this isn't a surprise to anyone. "First, we built a version of our model with WHG in place of MA1 and found that it ﬁt in a similar fashion (majority component of WHG’s ancestry as a sister group to K14, plus eastern Eurasian gene ﬂow)." I don't know whether it was intentional - East Asian for MA1 and East Eurasian for WHG - or just a typo. I cannot imagine EHG not having at least a moderately low amount of East Eurasian ancestry. East - West Eurasians in this paper refers to specific branches of Eurasians(what some of you refer to as Crown Eurasians). It does not mean the statistical division of Eurasians into East and West. (it can be done but it would be a statistical artifact, not a real historical division of men) In other words Basal Eurasians are neither but in terms of statistical division they would be West Eurasians. @Seinundzeit - "Regardless, recording preliminary impressions based on skimming, I am somewhat surprised that the French (and by extension, basically all Europeans) model as being around 25% East Asian. I mean, if true, they have more ENA admixture than even MA1. And going by what we know concerning the clines that exist in Europe (with regard to ENA affinity), I'm guessing that northern and eastern Europeans probably have even more than 25-ish% ENA." They say WHG and CHG were each part ENA as well. I can't seem to find the proportions though. Ryukendo K:Oops mistake in my previous post, the two alternative models to choose from once the K14 genome was analysed were 1) where K14 is unadmixed west Eurasian and MA-1 and WHG were admixed with E Asians, and 2) another where K14 received ancestry from a clade outside (WHG ANE ENA) but inside of Ust Ishim. You would think that wouldn't you? It makes sense. I certainly did until I went back to Haak 2015 and checked and actually, by their ADMIXTUREGRAPH modeling, you were right and remembered correctly the first time. The edge to K14 always diverges prior to Ust Ishim ("K14 containing ancestry from just outside of (WHG-ANE-ENA-Ust-Ishim)"). To be honest though, I still don't totally understand how these models worked and never really did. They all present an edge to K14 from a pre-Ust Ishim population, which I would've thought would break the D-statistics to Ust Ishim with other Eurasians. I could see how an edge from between (WHG-ANE-ENA-Ust-Ishim) and (WHG-ANE-ENA) to K14 would work to fix K14's statistical biases (and of course you do). But those models didn't have that. They're also reported to be successful. Alberto: Yes, I don't know how parsimonious it is to make all west Eurasians having East Eurasian admixture based on K14 as a baseline. Assuming the previous models worked, in a way it is admittedly hard to see how this new model is any more parsimonious in the absence of new data, in terms of numbers of ghosts, because you just go from having a ghost contribute to K14 to having a new "True ANE" ghost contribute to MA1. Perhaps it is more parsimonious in the structure of the tree. Shaikorth: Their finding of West to East-signal being slighty weaker than the opposite could indeed mean there's less ANE in East Asians than there is East Asian in MA-1. The ANE numbers for Ami using various proxies were lower than the admixture percentages MA-1 gets in the new study. I think on the basis of the evidence, then that relative size seems likely to hold, if you reject K14 as admixed with an early dispersal, and assume Onge are unadmixed (the latter seems an arguable assumption, as the Andamans are not in theory inhabited until around MA-1's time, and adna will provide a check). But seems more difficult to me to pin any ENA admixture to MA-1 as East Asian, if there's a later edge of EHG related admixture to East Asians, even if it's relatively small. Seems like a confound. If there is East Asian admixture to early West Eurasians, I wonder if that will affect our prior of when and where the early East Asian breaking population lived? They might not have lived in East Asia until more recently than we think, to have the opportunity for substantial and potentially independent admixture to the K14 and MA1-ancestral clades. I also wonder if they validated in Natufians, Barcin Neolithic and Iran Neolithic as well (since if they're hitting CHG up for a test despite BE admixture, why not?). @ Ryukendo K: Something else, the sharing of drift between all modern Eurasian clades to the exclusion of Ust-Ishim in this model becomes a product of the pulse of admixture from ENA to West Eurasians. Nice spot. I was wondering how we went from Ust Ishim (and Oase) being clear pre-"West Eurasian"+"East Eurasian" clade to a near "trifurcation" in this paper (as Sein notes "Anyway, another surprise for me, it seems Ust-Ishim wasn't really a sort of "Basal Crown Eurasian"". ). I wonder how much of this model is motivated by a preference, to fix a West Eurasian and East Eurasian divergence as primary after the Basal Eurasian split, and fit early Upper Paleolithics on that, and avoid a profusion of post-Basal, pre-"West"+"East" divergences that seemed to be occurring with the new very ancient early-mid Upper Paleolithic samples (e.g. Ust Ishim, Oase, at least some of K-14's ancestry otherwise would all take that position). Or whether it just truly is more parsimonious. Regarding CHG's, for some reason Satsurblia (the more "basal" of the two) comes out with an eastern shift compared to Kotias in Wong et al. D-stats, using a high coverage dataset. Han and Even are much more eastern than Mansi, and yet the stat isn't markedly positive unlike with Kotias or Bichon. Those older models didn't incorporate Neanderthals and Denisovans, their absence might have something to do with the haunted house of post-basal basals and even pre-basal basals in Haak et al. @ Shaikorth: I'm not sure whether archaic fraction actually matters at all for their models, e.g. "This is particularly evident from our primary statistic f4(MA1, K14; Ami, Ust’-Ishim): even if K14 did have a component of deeply-diverging ancestry, it would not share extra drift with Ust’-Ishim (likewise, this statistic is essentially unaffected by excess archaic ancestry in K14).. I feel like that was a bit of a sharp response. I mean, thanks for offering the idea, it could be like that, but I wish they'd said so if it was the case. (Or generally shown their working explicitly about why the previous models (that accommodated K-14 via admixture from a ghost and placed Ust Ishim as pre-"West" and "East" divergence) didn't work as well ;) ). Yeah, looks like it. Lazaridis 2016 has graphs that have no archaics and include Ust-Ishim, Iran_N and Natufians. Kostenki 14 comes out pure West Eurasian with no basal needed. Same for Fu et al. 2016, though Satsurblia's the most basal sample there. Yes, but more saliently those models p25-36 of the Lazaridis 2016 supplement (http://biorxiv.org/content/biorxiv/suppl/2016/06/16/059311.DC1/059311-1.pdf) also include no East Eurasians. The purpose of those graphs is only to try and fit a Basal Eurasian fraction using K14 and Ust Ishim, so they've avoided that whole complexity. (The only other use of ADMIXTUREGRAPH in that paper is Figure S11.3 on p148, fitting Han as EHG ancestor admixed. That one has no use of K14). No simultaneous use of WHG/MA1, K14, Ust Ishim and ENA in the same graph, no asymmetry in relative relatedness to Ust Ishim vs ENA between WHG/MA1 and K14, nothing to resolve with any extra admixture edges / ghosts. The extended fit with French in this new paper is the closest thing to a graph with "everything", it lacks direct WHG but a significant part of French should descend from it. If there was a basal or other ghost edge to Kostenki they don't mention it, and if it was there it looks like an odd thing to omit. If the purpose of a ghost edge to Kostenki would be as an alternative explanation for the stats which they resolve through the East Asian->MA1 edge, then they wouldn't need to include one (in the same graph where they had an East Asian->MA1). I think we might have started talking at cross purposes a bit? Those Haak et al. Kostenki models lacked (in addition to archaics) East Asians and Australasians though. Also found out that Haak et al. used a poorer Kostenki sample than Fu et al. (2.8x vs 16.1x). Haven't checked all the supplements but starting from Fu et al. the Harvard team could have used the better sample. Admixturegraph is very useful, but somewhat overrated, and it can produce pretty crazy outcomes when the models are complex. So please all keep that in mind. The paper is very interesting, but it's mostly pie in the sky stuff. Nothing will be resolved until we can get our hands on more UP genomes from Central and East Asia. By the way, I've got a new blog entry sort of related to this coming later today or early tomorrow. You guys are gonna love it. The Haak models* include Onge, and a non-MA1 ancestor edge for Karitiana (should be essentially approximately East Asian) so they would have to resolve the same problem as if East Asians were included. It shouldn't make a difference. Unless there's an East Asian at the end of the drift path to eventually fully anchor that kind of pop, it's generally considered "ENA" or "ASE" or something in these papers since there is no real East Asian population to anchor it. Like in the models of Lazaridis 2016, the non-ANE primary ancestry of Han etc. was derived from a population sharing an ancestral node with Onge, not directly from Onge, but in qpAdm Onge could approximate it. The full commentary from Haak et al suggests to me that they didn't consider their ENA equivalent with Han either. "All successful models agree that Kostenki14 shares genetic drift with Loschbour and LBK_EN to the exclusion of non-European populations and is “European” in this sense. However, the model of Fig. LBK_EN, Kostenki14, main Eurasian ancestry node “A”}. The hypothesis of Basal Eurasian ancestry in Kostenki14 needs to be further tested, as the negative D(Mbuti, Han; Loschbour, Kostenki14) statistic could also reflect gene flow between Han↔Loschbour; this is a priori plausible, as these populations are much younger than Kostenki14 and may share intra-Eurasian genetic drift that Kostenki14 lacks because of its age." None of the ADMIXTUREGRAPHS in SI8 of Haak et al. included Han or similar East Asians like Ami. This is without considering the effect of a different Kostenki14 sequence. I've seen enough kooky results in Admixturegraph analyses published in high end journals to know that they're usually just temporary solutions as we wait for more relevant ancient data. Remember the models for Satsurblia and Iran Neolithic WC1 in recent papers? Straight up mixtures of Basal Eurasian and ANE they were. The fits were fine, but of course in practice it's nonsense. No matter how elegant and interesting the methodology and how robust it looks in theory, don't forget to ask whether it makes sense in practice, because in the end that's what's it's all about. I think they're just introducing that some changes are potentially on the way.. They're just covering their asses after that last paper which showed ANE, and thus potentially ancient West Eurasian admix, across East Asia. They probably got some e-mails from unhappy readers about that. But like I say, ancient genomes will do the talking in the end, and there won't be a simple elegant solution to this; it'll be complex and messy, with some major surprises and gene flow back and forth at different times. Ryukeno K:I think this may have to do with human working memory limitations though, because ADMIXTUREGRAPh fits according to matrices of formal stats between all the pops in the model so the final fits by definition will not break the stat relationships between K14 and the others, at least not within a certain range. For very complicated models (Fu et al 2016's graph section - wow), I'd see what you were talking about, but for these from Haak 2015 (http://i.imgur.com/wIg6gue.png) they're not *that complex. More or less the same as the very first models introduced, plus K14. It would seem to be it should be a simple matter of where the admixture edge is in relation to the Ust Ishim split predicting the statistic (according to everything I thought I understood about the D and f4 statistics). I don't really understand how our human working memory limit would lead to basal edges into LBK and Kostenki14 (at 0.3-0.31 and 0.2-0.22 respectively), both of which came from before the Ust Ishim split, having significantly different outcomes for D / f4 stat D(Kostenki14/LBK_EN,WHG;Ust_Ishim,Mbuti). Rob: I think they're just introducing that some changes are potentially on the way.. Though I probably would have thought that a while ago about the other, contradicting, models they'd introduced as well. Davidski: They're just covering their asses after that last paper which showed ANE, and thus potentially ancient West Eurasian admix, across East Asia. They probably got some e-mails from unhappy readers about that. Hmm... I'd hope they don't work like that and do actually believe it is the simpler working model (to explain how Kostenki14 relates to others). I wasn't being entirely serious there. My point is they are under pressure to be objective and then some until everything's settled, so the simplest models are preferred, even though most of the time they won't be validated in the long run. Bolded section seems to implies that, e.g. f3(Mbuti,WHG,EHG) should be mathematically equivalent to f4(Mbuti,WHG;Mbuti,EHG). I was under the impression that ADMIXTUREGRAPH only worked to fit f4 quadruples where A, B, C, D are all different, so f4(Mbuti,Ami)(Kostenki14,MA1) but not f4(MA1,Ami)(MA1,Kostenki14) [aka f3(MA1,Kostenki14,Ami)]. However it looks like that's wrong. It's not just solving the quadruples. Since our discussion has been strictly around the fit to f4 statistics, I wonder if it's the f3 and f2 statistics that make apparently unexpected ADMIXTUREGRAPH outcomes turn out as they do (e.g. for me, Haak's models for fitting K14 into their scaffold). (ADMIXTUREGRAPH actually was long ago described, as qpGraph, in http://www.genetics.org/content/192/3/1065 - Ancient Admixture in Human History. Should've read it before). Could all these issues with clines be related to preservation of some joint ancestry of ANE and WHG pops. If we model IJK folks as 100% proto-WHG-ANE (Crown Eurasian) then IJ folks(Caucasus) could be modeled as proto-WHG while K folks (Central Asia) as proto-ANE and between them (the Iranian Plateau?) pops with the best preserved proto-WHG-ANE ancestry. So these issues with clines could be explained not by mixing of West and East Eurasians but by preservation of some joint ancestry of IJ and K folks. "In a way, this brings us back to where we were, a few years ago (I'm sure we all remember the pre-MA1 talk of "Karitiana-related" admixture. That idea was vaguely similar to what we see in this paper)." Yes, back to out-of-America, after all the pointless wanderings. Do we know when arabid/southwest asian ENF which is basal eurasian+UHG diverged? It may be the explanation why predominantly CHG populations are are hairy. Pure ENF isn't hairy and predominantly ENF bedouins barely can grow facial hair yet CHG admixed west and south asians are very hairy and CHG is something like ENF+ANE. If Ainu are related to ANE or are ANE admixed it might explain why are they so hairy but that's just my theory. I wonder whether they did stats comparing MA1 against Lochsbour directly instead of each against K14, and if so, what did they imply in terms of relatedness to East Eurasians. As for the finding of East Asian related admixture on MA1 and Lochsbour, i would say it complicates any attempt at correlating this admixture with any particular Y-chromosome haplogroup. My initial guess about this admixture was that it existed but was basal to East Eurasians as a whole, not just to East Asians, this based on the distribution of K2-derived haplogroups among East Eurasian groups. Yes, the similarities between my thinking and theirs is remarkable. As Shi Huang said, his team and I arrived at the same ideas from very different angles. And the simple reason Davidski hasn't posted anything about this paper is because he doesn't want to be caught misleading dozens of his readers with spurious out-of-Africa certainty. :) Everything is up for debate, and that's what science is all about. Davidski, on his blog "Eurogenes blog", invited me not speaking of a conspiracy about the struggle on genetics and its tree and above all against my theory of an Italian Refugium of haplogroup R1b-L389+ and subclades (that before that Villabruna were tested for his Y, resulted R1b1 at the P297 level and 14000 years ago in Italy). One of the point of my theory was that also R-V88 was born in Italy and not in Middle East, having in Sardinia, Italy and Western Europe the oldest haplotypes. I am saying from so long that the oldest haplotype are in Italy (Marchesi) and Great Britain (Saxton/Sextion). Sexton, tested, resulted just R-V88* and is on the YFull tree as YF07201. Now a new sample at that level has appeared on YFull: YF07902. Waiting that his STRs are published, I ask how smal (Sergey Malyshev) could know when he published his tree of the haplogroupo in the R1b-M343 (xP312 xU106) Project on July 19 2016 that there was a sample of R-V88* different from Sexton but with the mutation F3867 (Y: 8465669 C>T)? @Gioiello, yes, I remember reading a few laudatory comments from the community after your ideas got recently confirmed. That's great! Davidski can safely be ignored. He's just a guy who purchased an internet domain. If you need to post something, you can come to my blog. I don't guarantee a storm of comments (I mostly delete what people post because it's just nonsense from nobodies) but since you have some good ideas, I won't moderate you. "Primarily a student of human kinship systems, social and symbolic evolution, transculturation, ethnicity, branding and critical theory, German Dziebel was trained as a multi-field anthropologist (traditional four-field approach plus sociocultural, interpretivist anthropology). He studied physical anthropology under Nadezhda Tsvetkova and Alexander Kozintsev (St. Petersburg State University), archaeology under Abram Dridzo, Vladimir Buzin (St. Petersburg State University) and Tom Dillehay (Vanderbilt University), linguistics under Michael Silverstein and Kostas Kazazis (University of Chicago), Andrew Garrett (University of California – Berkeley), Phil Baldi (Penn State University) and Merritt Ruhlen (Stanford University), population genetics under Alexander Kozintsev (St. Petersburg University) and Joanna Mountain (Stanford University, 23andMe), statistics under Henryk Banaszek (Central European University), sociology, ethnology and ethnic theory under Vladimir Popov, Valerian Kozmin, Alexander Gadlo (St. Petersburg State University), Sławomir Kapralski, Zdzisław Mach (Central European University), Ray Fogelson and Terrence Turner (University of Chicago, Cornell University), semiotics under Albert Baiburin (European University at St. Petersburg), sociocultural anthropology under Sylvia Yanagisako, Jane and George Colliers, social studies of science under Joan Fujimura (University of Wisconsin – Madison), philosophy under Richard Rorty (Stanford University) and Jean-Pierre Dupuy (École Polytechnique, Stanford University), literary studies under Jeffrey Schnapp (Harvard University) and Rene Girard (Stanford University), Native American studies under Ray Fogelson (University of Chicago), Matthew Snipp (Stanford University) and Robert Warrior (University of Illinois, Urbana-Champaigne), American history under Richard White (Stanford University)"
Estetismo un po' pazzoide è d'Annunzio a Fiume? al di là di genetica e verità? E' il suo un giudizio determinante o riflettente? questo sofo bariccato in tronchi di carciofo. Well, modeling Kostenki as a pure west eurasian doesn't seem to be very smart as he seems to basically be Vestonice+Ust'Ishim. However even Vestonice was significantly south asian autraloid(around 20%). Oase1 and Ust'Ishim had some West Eurasian pull but they cluster with predominantly australoid ASI(both seemed to already had some WHG-like alleles, however) populations like Paniya and Kunda. Whereas Vestonices and Kostenki cluster on PCAs with modern Pakistanis who are primarily Iran EN+CHG+ASI with a bit of EEF, EHG, and East Asian. This sugggest Basal Eurasian admixture in the Vestonice cluster(and maybe a bit of very basal east eurasian in addition to ASI). Curiously ASI and Basal Eurasian affinity disappeared in the Villabruna Cluster probably due to drift and selection during the LGM. However Villabruna cluster has increased Han, Amerindian and MA1 allele sharing instead. Yet again, curiously on the Global PCA Vestonice Cluster is MUCH closer to Han Chinese than Villabruna despite suppsedly lower allele sharing. This could be due to ASI affinity as australoids are ENA just like mongoloids. Anyway Kostenki clustered with Pakistanis who knowing their admixture history are much further away from being pure West Eurasians than even very mixed modern Europeans. In my opinion we don't yet have any ancient sample that is anywere close to being a pure West Eurasian. I think some small isolated Near Eastern populations without SSA/ASI/mongoloid admixture may somewhat more West Eurasian than any modern European due to lower ENA admixture. Even in spite of their higher basal. Actually UHG could be WHG-like without ENA. Perhaps pure West Eurasians could be found in the Mesolithic Middle East/North Africa, but they may have had never existed due to very complex admixture and drift history of west eurasian/caucasoids. I think it's likely that mongoloids/east eurasians formed much earler than west eurasians. WHG wasn't autosomally stable until around 14000BC.